Wool and polyester surplice with handmade edges. 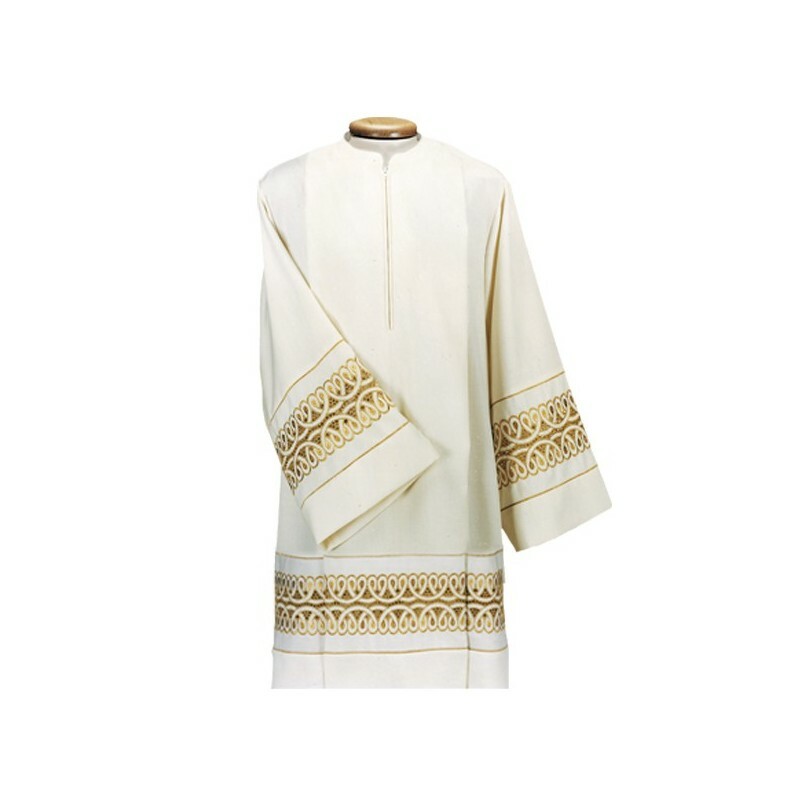 Polyester and white wool surplice with ivory introdot. Available of various sizes. 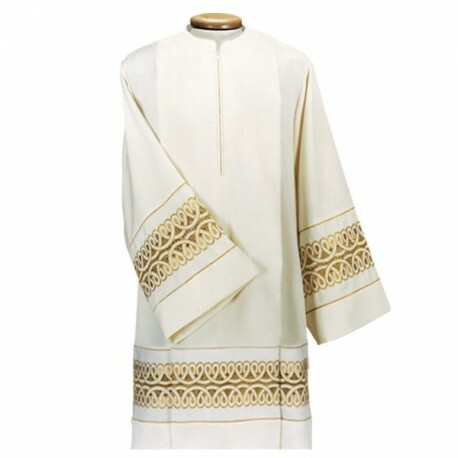 Polyester and white wool surplice with ivory introdot. Available of various sizes. Cm. 95/100/105/110. Made in Italia.